The first Malasakit Center in Samar Island was recently launched at the Northern Samar Provincial Hospital (NSPH) in Catarman on March 18, 2019. Secretary Michael Lloyd Dino, Presidential Assistant for the Visayas graced the event, warmly received by Northern Samar Governor Jose Ong Jr., other local officials and agency heads. The Malasakit Center is a program of the Duterte administration aimed to serve as a one-stop shop for medical assistance and other social services needs of patients. Addressing the Northern Samar community, Secretary Dino assured them that no endorsement from any politician will be asked to avail any of the Center’s services. “This is to give access to all who need assistance,” Sec. Dino added. During the launch, the presidential assistant turned over to Governor Ong initial funding for the Malasakit Center in the amount of five million pesos. Every month, President Duterte will provide subsequent funding to support the Center’s services, the secretary disclosed. He then urged the public to make use of the Malasakit Center for assistance in times of health emergencies. Through the center, patients may conveniently access the services of the Philippine Charity Sweepstakes Office (PCSO), Department of Social Welfare and Development (DSWD), PhilHealth and the Department of Health (DOH). Governor Ong, speaking on behalf of the constituents of the province, expressed gratitude to Duterte’s leadership and to the officials behind the establishment of the Malasakit Center in Northern Samar, which he said is certainly helpful and complementary to his thrust of better health service delivery. Present during the launching were PhilHealth Regional Vice President Leo Douglas Cardona Jr., other PhilHealth officials in Region 8, PhilHealth Northern Samar chief Evelyn Montes and staff, DSWD Northern Samar SWAD Teamleader Nena Getalado, Provincial DOH Officer Rommel Francisco, NSPH Chief of Hospital Joseph Estanislao, OIC Provincial Health Officer Alejandro Lucban, PCSO Calbayog branch manager Edmund Hidalgo, PCSO Catarman head Lester Trongcoso, provincial social welfare and development officer Jenny Darish, Atty. 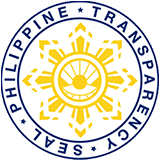 Grace Royo, other provincial government office heads and personnel.